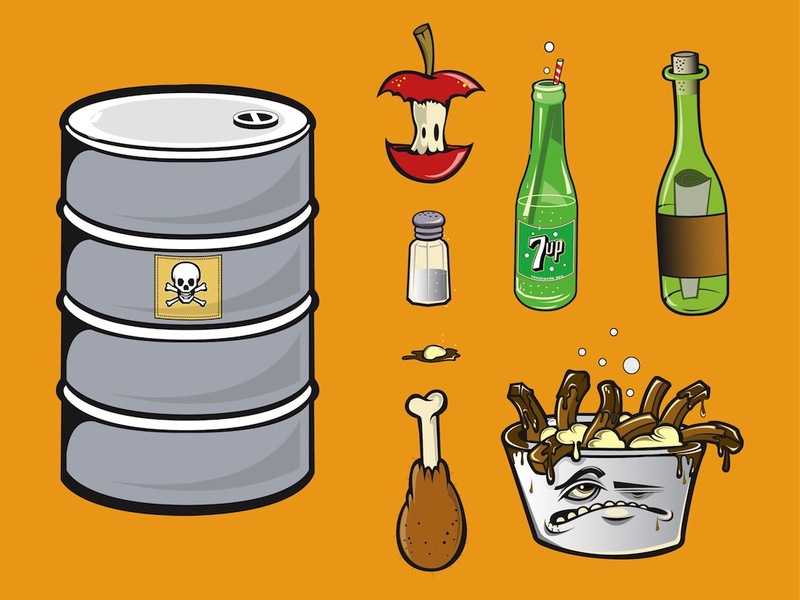 Waste vector images pack of cartoon illustration of old food and a barrel of toxic waste. Metal barrel with a skull sticker, apple leftovers, saltshaker, bean in a puddle of sauce, chicken leg, bottle of 7up soft drink, bottle with a message and a bowl with French fries. Free vector image set for all stickers and posters designs. Tags: Barrel, Drink, Eat, Leftovers, Message In A Bottle, Pollution, Toxic Waste.